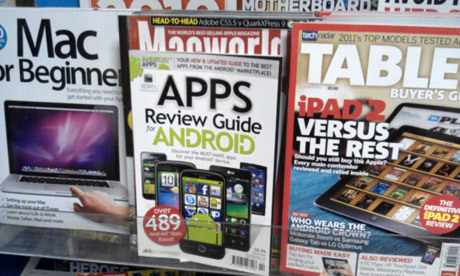 But as Flash developer myself or used to be (Been working with Android native development since end of 2010), it was a good move as Flash will be focused on packaging native apps with Adobe AIR for all the major app stores which saves time and cost to build native mobile apps for each major platform. It is hard to imagine what is the next stage for current social games as most of them are still built in Flash (although some of them already have mobile versions), even latest Facebook Angry Birds is built by latest Flash stage 3D engine. The famous Fantasy Interactive (Fi) has also shifted its focus to apps so the future might belong to mobile and web apps. If Adobe can improve Flash to target mobile platforms with native speed in near future (Air 3.2 is nearly there), I say Flash can still be alive and kicking in next 5 years or so. Google DoubleClick has just released Swiffy extension for exporting Flash to HTML5. I think it is mainly targeting at Flash banners so in the future, the server will automatically serve or convert to HTML5 banner when viewing on mobile devices. I have moved all Android related articles to http://www.xllusion.net/android/ instead. More info about the apps. I have released Stars Live Wallpapers, a cute stars live wallpaper which lets you interact with falling stars. 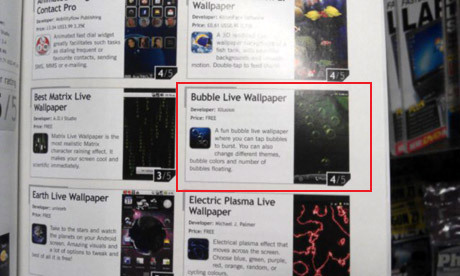 Bubble is Top 2 in Live Wallpaper Category!